If you’re interested at all in helicopters or flight, or you’ve got a kid that is, there is little that is more fun than the small gyroscope-packing micro-copters like the Syma S107. 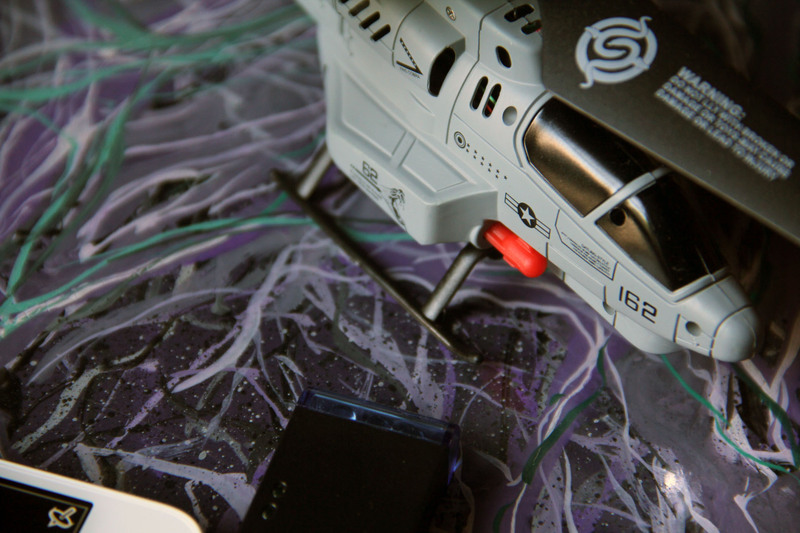 They’re tiny, stabilized helicopters that are perfect for indoor flying. Most of the time, these little copters are controlled by bulky generic flight controls. 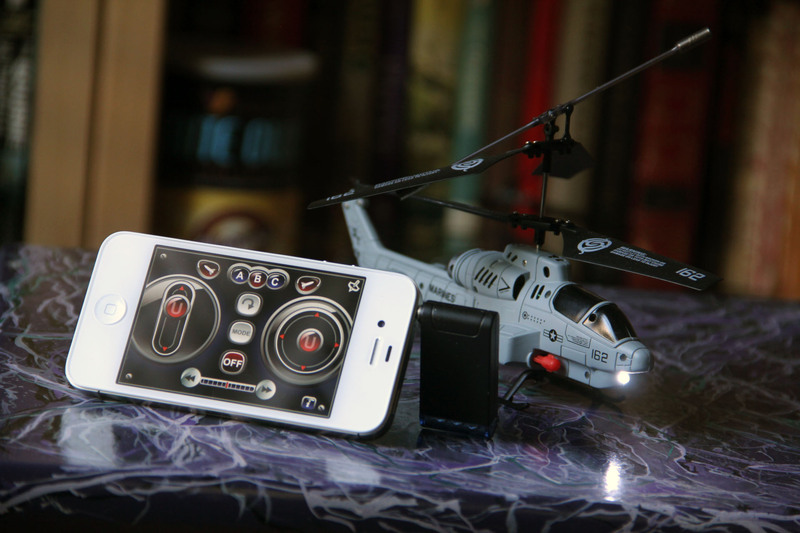 The Cobra iHelicopter is a bit different, as it accepts signals from a small dongle that attaches to the headphone jack of your phone. An app is required that is freely downloadable on the Android Market or App Store. The controls are displayed on-screen, allowing you to move upwards, downwards, left, right, forward and back. There is also a motion-control mode, although I found it to be far less responsive than the touch mode. It might work better in very large spaces, but in general you’ll want to stick to the touch controls. Remember to pump up the volume before you use it, as it uses audio signals to trigger the IR commands. Since the iHelicopter is a three-channel copter, you won’t get any ‘yaw’ or banking. Instead it will rotate on axis and move forward or backwards in straight lines. It’s more stop-and-go than you’d get with a 4 channel, but much, much easier to fly, especially indoors. The body also felt very sturdy and took the normal micro-copter abuse from floors and furniture very well. Although I own several (too many) micro-copters already, the Cobra was easily the most stable of them. I had to do little to adjust the trim during flight, which means that there was very little of the spinning issue that these normally suffer from. Once you get it in the air, it hangs there very well. 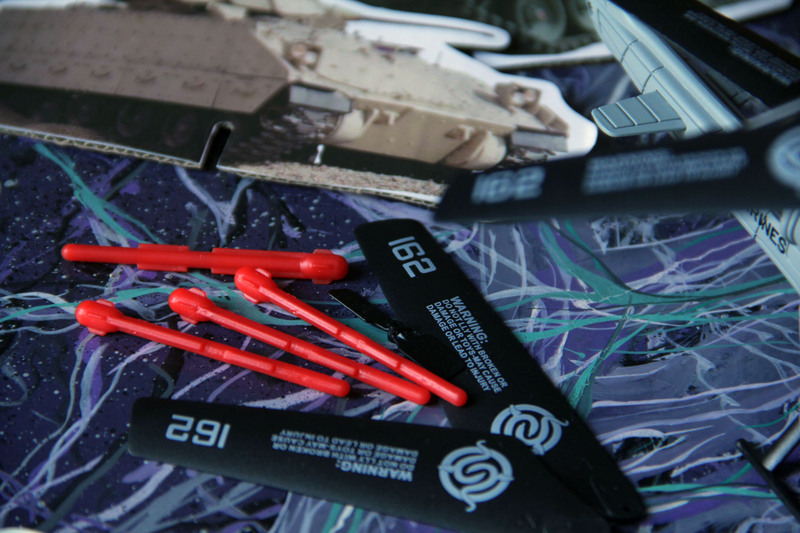 The copter takes two spring-loaded missiles that you click in manually, there are spares included. The paper targets are also a cool touch and it’s super neat being able to fire at them with the touch of a button on your phone. 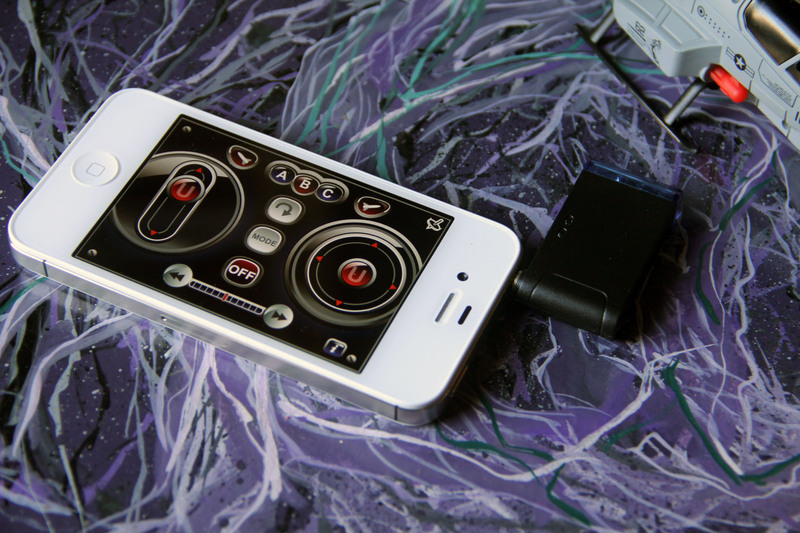 The iHelicopter and dongle both charge off of the same USB cord, which plugs into any computer. The dongle lasts a couple of hours of use easy, but you won’t get more than about 10 minutes of flight time from the copter itself. This is fairly standard for these tiny helicopters, which have comparably tiny batteries. I found that about a 40 minute charge will get you going again with the copter, and there is a light that turns on in the USB plug to let you know when it’s ready to go. 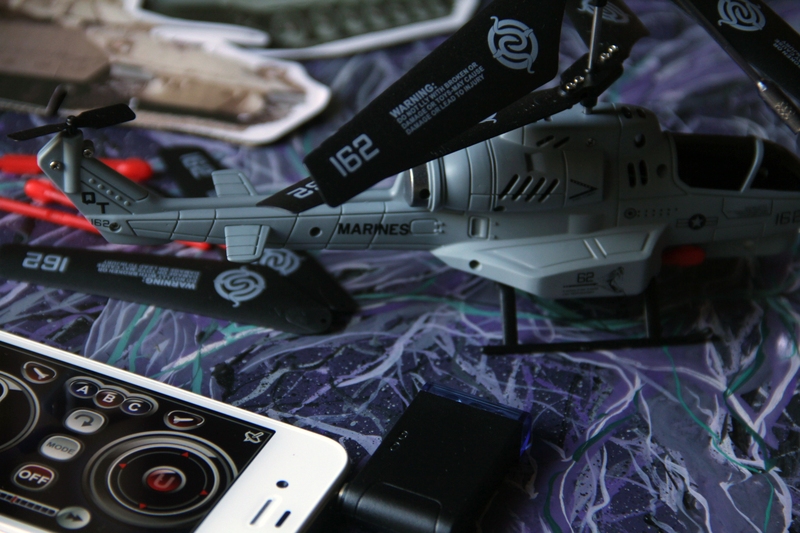 At about $70, it’s a bit pricier than the standard micro-copters like the Syma S107, which runs about $30, but it does have the iPhone control module and missiles, which most of them do not. It also is one of the most stabile micro-copters I’ve flown, making it a good choice for first-time flyers. If you’re not a current micro-copter enthusiast, you probably won’t miss the extra precision that comes from physical controls, and if this is a gift, the cool factor will definitely win you some points.